Regular Check-ups are for your Implants, too! How often do you go to your dentist for a dental check-up? Ideally, you should visit your dentist twice a year so you can be sure that your teeth and overall oral health is well taken care of; the regular dental visits will also ensure that dental problems are diagnosed at their earliest stages. After a dental implant treatment, it is easy to assume that you do not need to go see your dentist on a regular basis anymore – after all you already have your artificial teeth in place. This cannot be farther from the truth, as you need to be even more conscientious of your oral health after an implant treatment. implants, which are embedded directly into your jawbone. 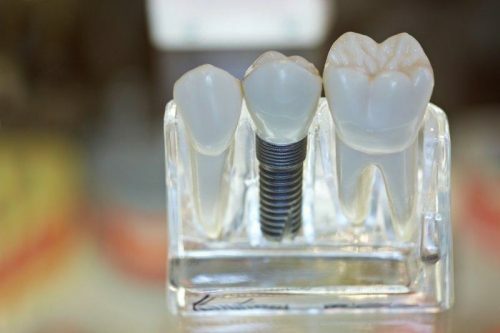 As the implants have integrated with your bone, think of them as extensions of a body part that you have to take care of, if you want them to function normally for a long period of time. The implants need to be checked by your Life Dental Implants dentist on a regular basis to make sure that they are functioning properly. Regular check-ups will also enable the dentist to see if there are any dental problems starting in the area, so they can be treated accordingly before they can worsen into something more complicated. Go for your regular dental check-ups to make sure that you can enjoy your beautiful smiles for a longer period of time, with implants that function in the healthiest way possible.